Jews have long embraced their identity as “the people of the book.” But outside of the Bible, much of the Jewish literary tradition remains little known to nonspecialist readers. 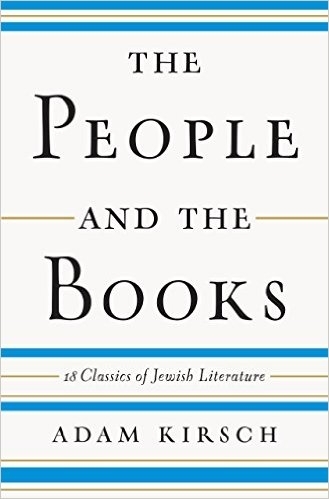 The People and the Books shows how central questions and themes of our history and culture are reflected in the Jewish literary canon: the nature of God, the right way to understand the Bible, the relationship of the Jews to their Promised Land, and the challenges of living as a minority in Diaspora. Adam Kirsch explores eighteen classic texts, including the biblical books of Deuteronomy and Esther, the philosophy of Maimonides, the autobiography of the medieval businesswoman Glückel of Hameln, and the Zionist manifestoes of Theodor Herzl. 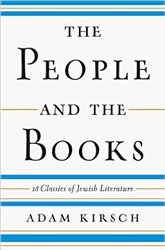 From the Jews of Roman Egypt to the mystical devotees of Hasidism in Eastern Europe, The People and the Books brings the treasures of Jewish literature to life and offers new ways to think about their enduring power and influence.